This wonderful Manaia Hook named Tongarewa Punanga - Hidden Gem. There Interesting story relating to the name of this Manaia Hook. The reason for this name is because when I made the hole to inlay the Pāua, the hole was too deep. I tried putting in some Mother of Pearl and could have made it work, but it wasn’t quite right. I thought I would try putting in some Pounamu and see if that works. It went in alright, but was still counter sunk too deep! And then I could not get it out! So, I inlay the Pāua you see in this carving over the top of this. Therefore, there is a hidden gem of Pounamu inside this Manaia! This Manaia Hook has an inlay of Pāua for the eyes. 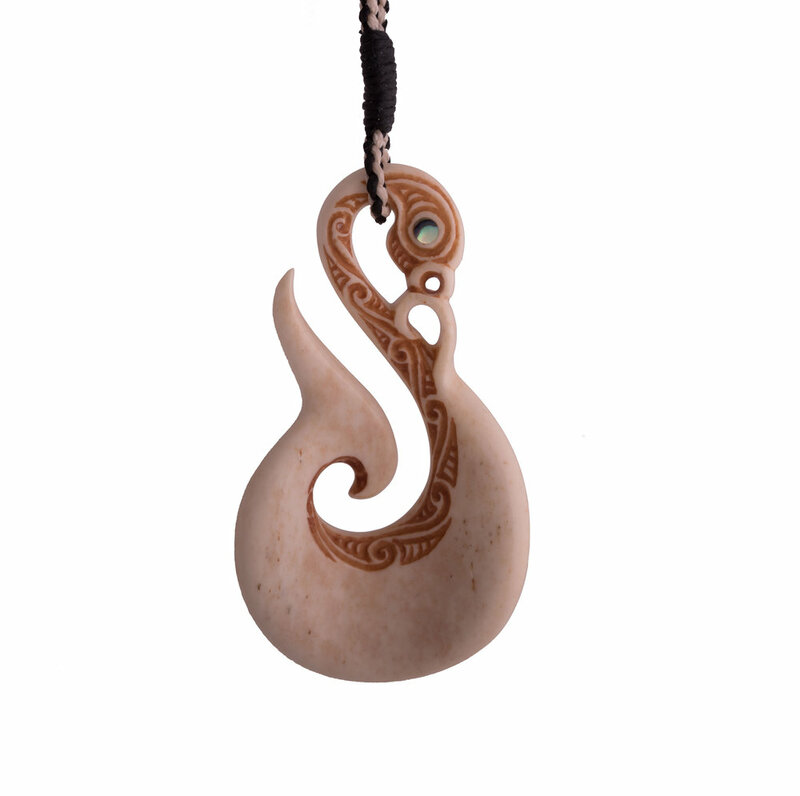 The koru running up the neck of this carving represent the rising flow of joy and happiness.